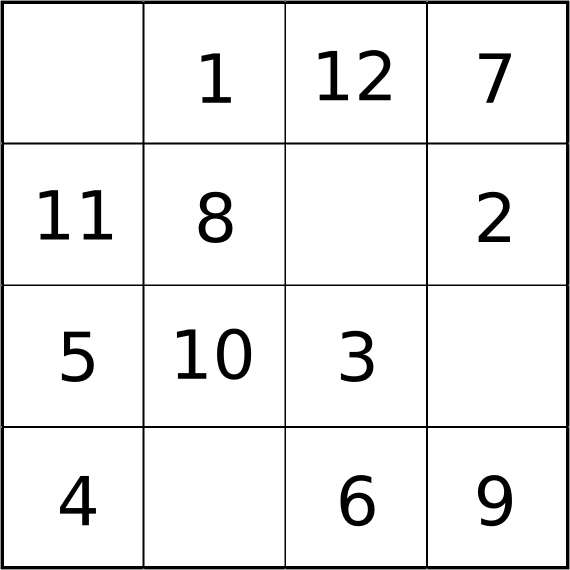 The busker can produce a Magic Square, whose rows and columns add up to any number you suggest! 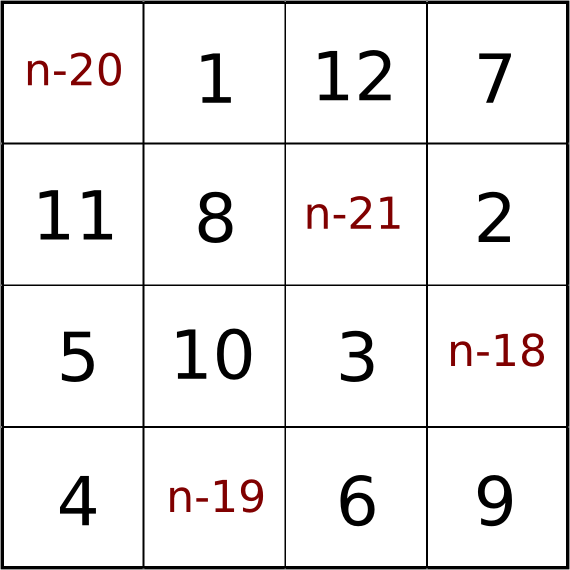 This magic square, as well as having all rows and columns and both diagonals sum to your total, also has many other combinations of four squares which add up to your total. For example, the 2x2 squares in the corners; the corners of any 3x3 square in the grid; and also, two diagonal rectangles whose corners add up to your total. Can you find all 36 combinations?